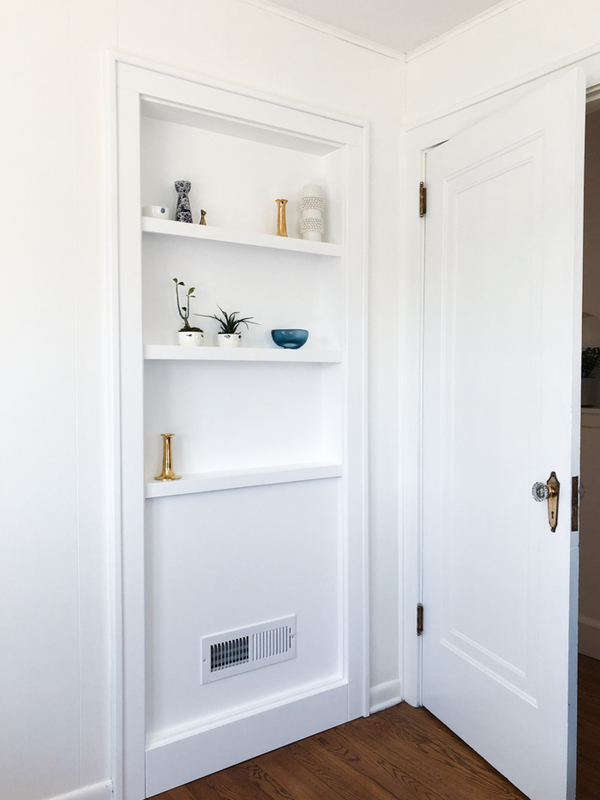 Over the past year and a half, we’ve been tackling a lot of the household things we could do ourselves like painting, changing light fixtures and outlets, and other small projects. There are a handful of bigger things, though, that are too daunting for our skill set and we’re to the point where we’re ready to make some of those more impactful improvements. One of the things that bothered us so much that we decided to embark upon first was the hole between our master bedroom and guest room. The only change I requested was that the top piece of wood extend to each side so the seam between the horizontal and vertical pieces was running horizontally. 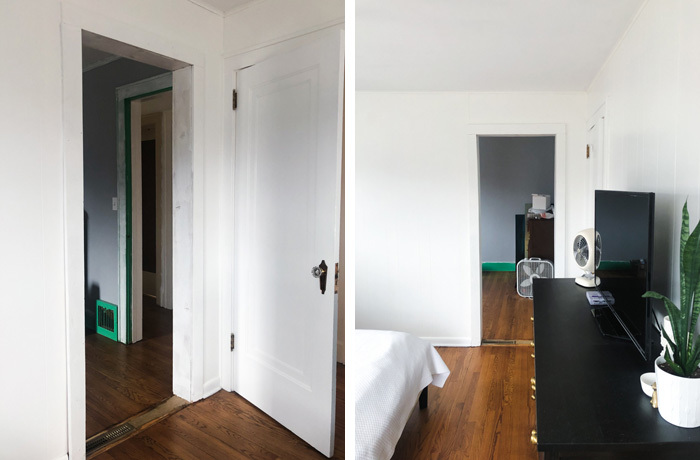 It’s annoyingly picky, but that’s how the rest of the windows and doors were done in the house and I knew it would bother me if it were different. We actually ended up getting two quotes on the project. The first person wasn’t able to provide renderings or a sketch. 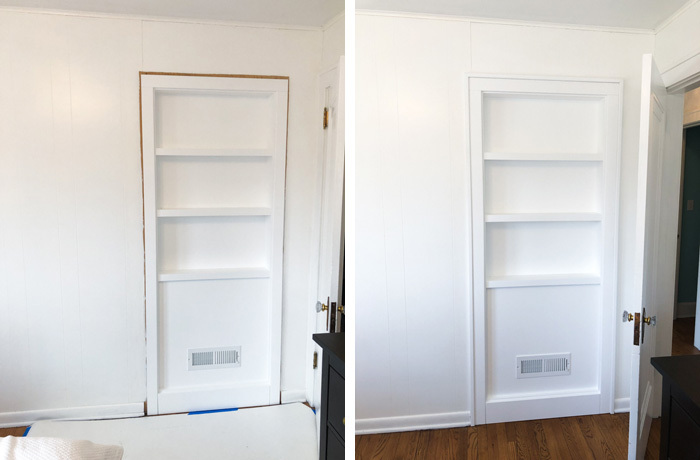 That’s not to say that he wasn’t capable of executing the project and understood what I wanted, but now that I’ve worked with someone who is able to provide this type of visual reassurance that we’re on the same page, I’m going to expect that of any person working on our house in the future. It helps to address any concerns up front so there are no surprises. Vase from a flea market in Brussels — and my first time haggling! Candlestick holders purchased in Seattle, but you can snag them here! Glass bowl from Portland, which is available online here. I don’t always think about H&M when I’m looking for housewares, and that seems to be an oversight on my part. Mixed in with the generic items and those that seem better suited for a college apartment, there are some truly great pieces. It just takes a bit of scouring to find them. Another item I love, but didn’t quite make the top seven cut, is this storage basket. 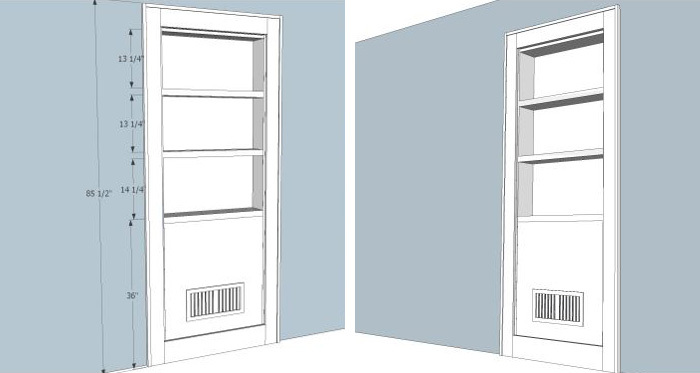 It looks like the perfect solution for storing miscellaneous umbrellas, scarves, and gloves in our entry closet. When we bought our record player last year, I had no way of knowing that it would become one of my favorite things about the holidays. There’s just something about listening to an actual record instead of an Apple Music playlist that makes the experience richer. It’s certainly more tactile and our stereo system is by far better than a WiFi speaker, but I think it’s the romanticism of putting on a record while mixing cocktails, hosting friends, or decorating the tree that really gets me. That and nostalgia. When I was growing up, my parents always played the Bing Crosby Christmas album when we exchanged gifts. We’ve amassed a sizable collection of holiday records in the last year and a half, including an embarrassing purchase of Trick Daddy’s holiday album I picked up at the used record store last weekend. (I mean, how could I leave that gem behind?!) Below you’ll find my six favorites (in no particular order) that you should add to your collection this holiday season — Trick Daddy excluded. Let me know if I’m missing any great ones! Attractive Cat Furniture *Does* Exist! 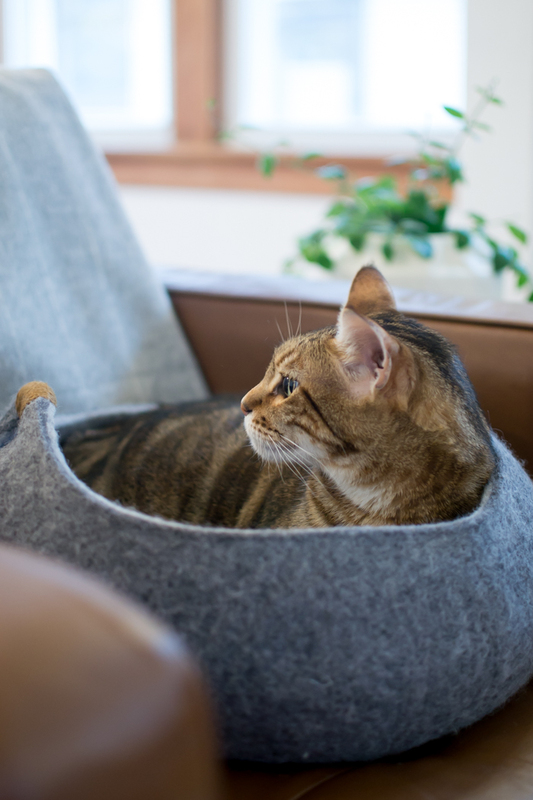 In a “Weekend Links” post a few months ago, I called your attention to Tuft + Paw, a company that’s been billed “the West Elm of cat furniture.” Pet furniture is notoriously ugly and as much as I love our cat, Bacon, he’s not going to be the recipient of an overstuffed cat bed or a carpeted cat tree. 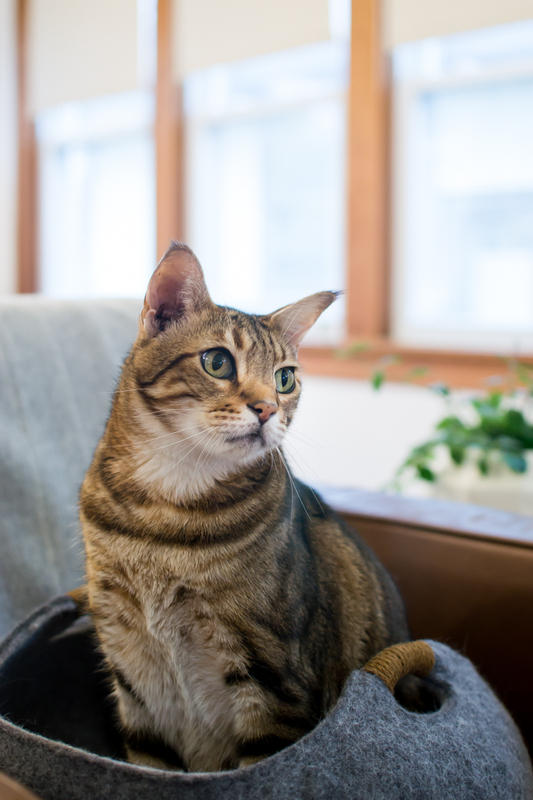 Tuft & Paw changes that, marrying good design with feline-approved furniture. 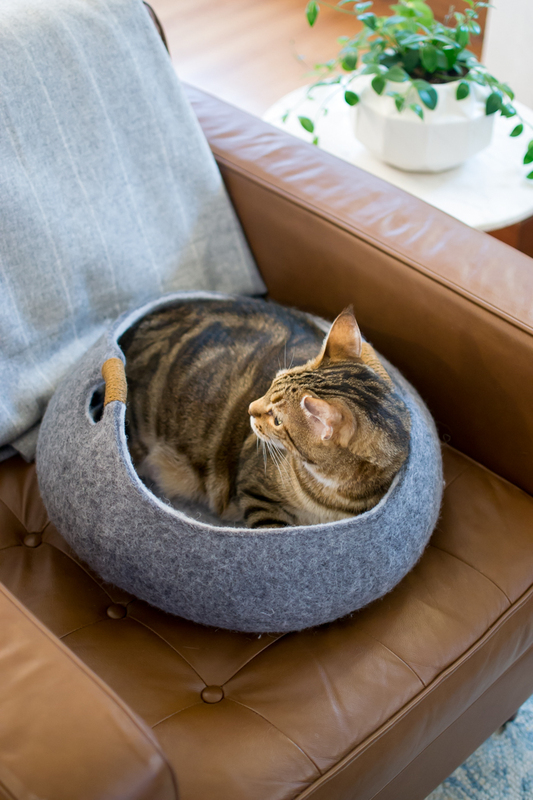 I mean, just look at this sophisticated cat tree or this sphere-shaped cat bed! To say that I was excited when the company’s founder, Jackson Cunningham, reached out to me would be an extreme understatement. I had a full-on crazy cat lady reaction. I mean, how could I not? An opportunity to feature Bacon on the blog — even if he’s a frustratingly uncooperative model — and feature a favorite design find? Sold. Read on to learn more about Tuft + Paw, including the inspiration behind the brand, the design process, and the one thing that surprised Jackson the most when he launched his company. What was the inspiration for Tuft + Paw? How did you identify this niche in the marketplace? It arose from our own problem with cat furniture, but then I verified that other people were having the same issue by using keyword tools to show how many people were searching for things like “modern cat furniture” on Google. Tell us a little bit about your design process. 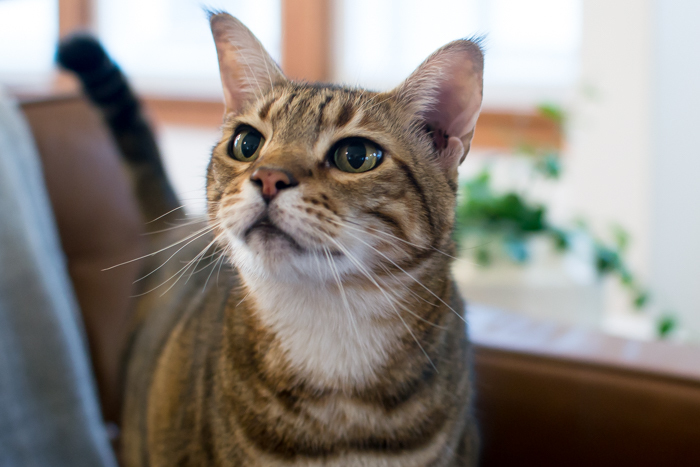 We try to start with basic open ended questions like “why do cats scratch?” or “what makes cats happy?”For example, it’s important for cats to scratch at different angles because one of the main purposes of scratching is stretching. So, why are all scratching posts shaped like a beam? Why not a pyramid or a cube? Once we sketch out some concepts, we then create basic models that we can take to local shelters to test out. If cats seem to like it, we create a prototype to iron out the details and then we produce. We’ve definitely had some flops, but usually you can turn them into something workable; we created a scratching wall once but noticed the scratching material was too thin so cats couldn’t sink their claws into it. As soon as we adjusted that, cats loved it. Has there been anything that surprised you since starting Tuft + Paw? It surprises me how expensive shipping is! As consumers, we’re all used to Amazon free shipping. 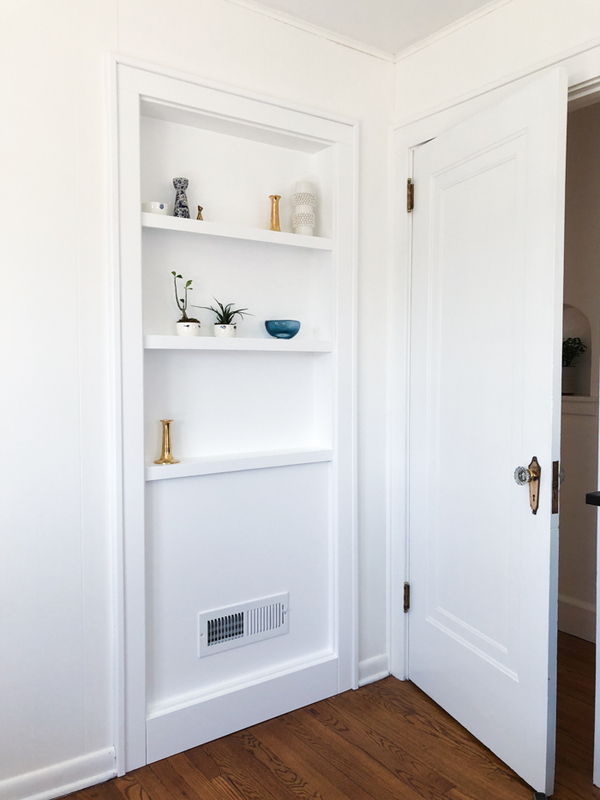 But what you don’t realize as a consumer is that shipping (especially furniture) is insanely expensive and most vendors are taking a huge hit when they offer free shipping. That’s been our biggest challenge, some items cost upwards of $200 to ship and many customers expect free shipping now thanks to Amazon. 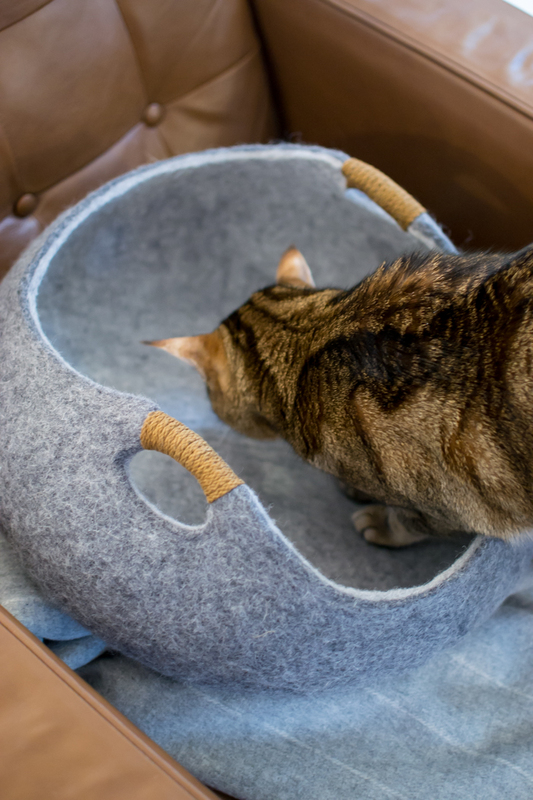 The two most popular items are probably the cat cave and simple scratching post, which has catnip embedded in it so cats love it. *I was torn between the Gatto Basket and the indescribably cute cat teepees. I opted for the former only because I worried that the teepee would put me on the verge of treating my cat like a child. Plus, the basket is a much more appropriate for our mid-century-leaning living room decor! The wool basket is densely woven, which holds its shape and cradles your cat when he’s curled up inside. Bacon had other uses in mind, however, and actually prefers to flip it upside down to sit on the bottom, as well as dive underneath the upturned basket and scoot around with it on top of him like its a turtle shell. It’s … odd, but hey, he likes it! Thanks to Tuft + Paw for partnering on this post! I know I’m not the only one who can’t enter Target without leaving with something that wasn’t on my shopping list. It’s just so easy to impulse shop when the store is full of gorgeous design finds that won’t break the bank. Above are seven of my favorites for fall decor, but I’d also like to draw your attention to two of my recent finds: a glass decanter for holiday hosting and the rug we just ordered to try in our dining room.